For years DFN has promoted luxury and elegance in outdoor environments by offering a truly unique lifestyle in outdoor settings. From space distribution to landscape design, from roofing to lighting and even sound diffusion, in order to create the perfect outdoor ambience. Projects that include both mobile and fixed structures such as gardens, pavements, roofs, swimming pools, etc. Our exquisite craftsmanship and variety of collections and products have always set us apart from our competitors. We started with outdoor furnishings, then expanded our collection to include outdoor kitchens and now we have entered the sophisticated world of conservatories. 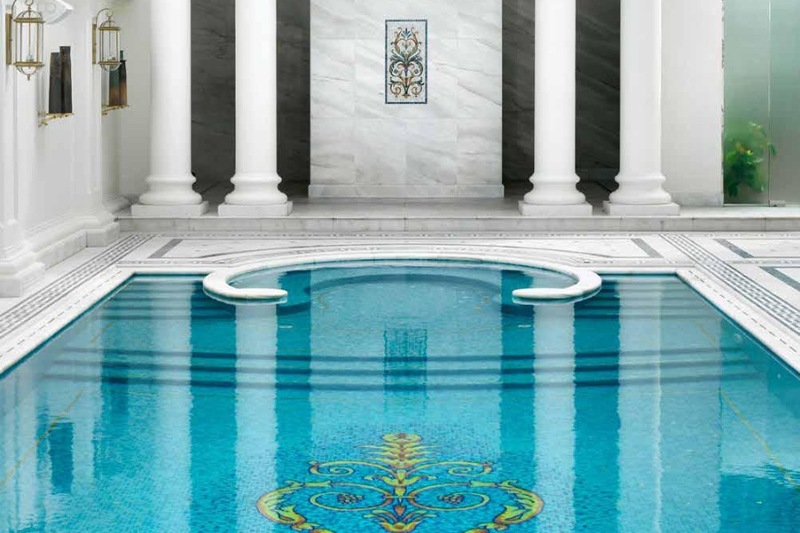 The collaborations established over the years allow us to expand and apply our skills at various levels, thus offering a global outlook in every luxury outdoor project. We provide unique customized solutions, designed to meet your requirements in every detail. Environments created specifically for you, designed to interpret your dreams and aspirations. This is the luxury concept of DFN, a brand that has achieved a reputation for excellence all over the world. This year, once again, DFN will participate to the Salone del Mobile which will take place in Milan in the month of April – from the 17th to the 22nd. The company will partner-up with Sandrini Architecture for the landscape architecture, Fantini Mosaici working on marble flooring, and Architettura Sonora, creators of high performance sound systems . 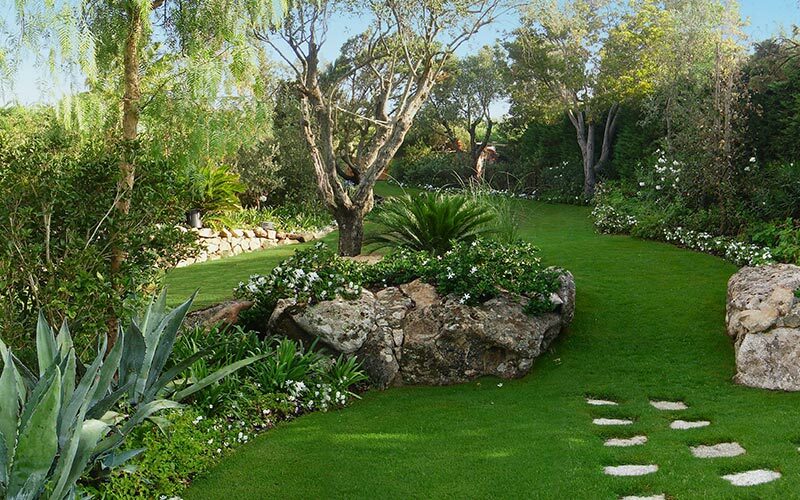 Sandrini Green Architecture is a landscape architecture firm founded by brothers Marco and Giuseppe Sandrini in 1993. Since then, their passion and know-how have led their company to be one of the most prominent and respected practices in Italy. Today, the company is leader in its field not only in Italy and Europe, but also in very demanding places around the world. We met with the team to learn about their history and to find out what they are planning to showcase at this year’s Salone, in particular within the collaboration with DFN. Sandrini Architecture have appeared many times at the Salone del Mobile in Milan, and the partnerships the firm has taken part in are numerous: some among the others are those with FederlegnoArredo and architect Giulio Cappellini, Studio Amaaro, Studio Asia. Fantini avails themselves of the best artisans with special skills and who employ special laying techniques in order to create superb mosaic floorings, “venetian terrazzos”, marble and pebblestone pavements. Luxurious, beautiful and refined: Fantini’s work has transformed intuitions into unrepeatable works of art for over a century, thanks to the incredible craftsmanship, knowledge of raw materials and manufacturing excellence, combined with innovation in designs. 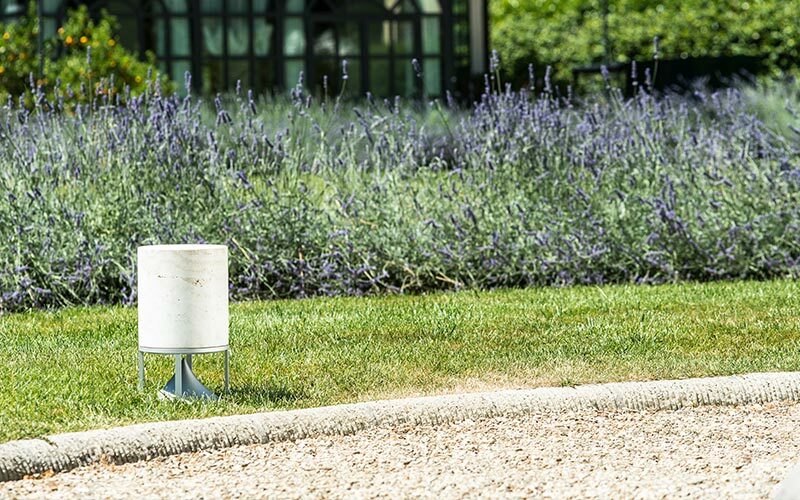 With 70 years of experience in the speaker industry, Architettura Sonora (part of the B&C Speakers Group) offers a wide range of high-performance audio solutions for indoor and outdoor area and systems where the best sound technology is exalted by superb design, which result in a truly wonderful high-fidelity sound experience. Designed, developed and hand-built from scratch in Tuscany by highly trained technicians and craftsmen, every product by Architettura Sonora is a fabulous example of the excellence of “Made in Italy” products around the world. We asked Sandrini Architecture which are the factors that make collaborating with DFN so exciting and stimulating. During the last edition of the Salone del Mobile, Sandrini created the landscape design for the exhibition of the new luxury outdoor furniture by Samuele Mazza, in partnership with DFN. The collaboration was fruitful and the high standards of creativity, research and know-how that are unique of DFN were of great inspiration to the team. “Designing landscapes means designing an environment that is beautiful, efficient and that harmoniously fits in its setting, all while addressing the client’s needs, and satisfying their expectations and dreams. What will we see at the Salone del Mobile 2018? For this year, Sandrini Architecture will be treated to unique scenic designs, where creativity, architecture, science and natural beauty combine to create unexpected, breathtaking environments that will become authentic experiences for the visitors to live and enjoy. Samuele Mazza’s new furniture line tells a story of glamour and elegance, but in a modern, contemporary way. A careful choice of materials is combined to the brand’s unique style and its renowned haute-couture craftsmanship and attention to detail. The outstanding quality of his pieces resulted this year also in a new line of kitchen furniture for outdoors characterized by unusual finishes such as touches of gold and metallic tones, which are one of this season’s top trends. Electrical appliances are finished in steel, and boost the most advanced technology. The dazzling design and high-efficiency abilities of these kitchens make them precious pieces which partner wonderfully with all the other furnitures by Samuele Mazza and the new conservatory by La Casa dei Limoni, a DFN brand. The structure of the conservatory is completely made out of iron and glass, where the time-honoured materials mix with the best technology create a luxurious, emotional environment that is comfortable throughout the year and that makes a classic winter garden new and modern. We are excited for this collaborations! Where can the results be found? You can visit DFN’s Stand at the Salone del Mobile in Milan, April 17-22, 2018, by visiting Hall 1, Stand H15.